Paul McCobb moved from Boston to New York to pursue his dream of becoming a designer. When it came to design he was completely selftaught but his profound understanding of perspective paved the way for his emerging career as one of the most important designers of the time. Perspective and scale in particular became a trademark for McCobb, whose tables, shelves and even lamps were the result of meticulous attention to the room the design would inhabit. Thin lines, simplicity of form and a distinct lightness characterise the works of Paul McCobb. He was a realist and a perfectionist and his design pieces are a clear reflection of his personality. The Planner table lamp is one of the last variation of the iconic Planner series imagined by Paul McCobb. The American designer imagined the designs in the 1950’s and the coffee table, the mirror and the magazine-holder’s designs are still relevant today. 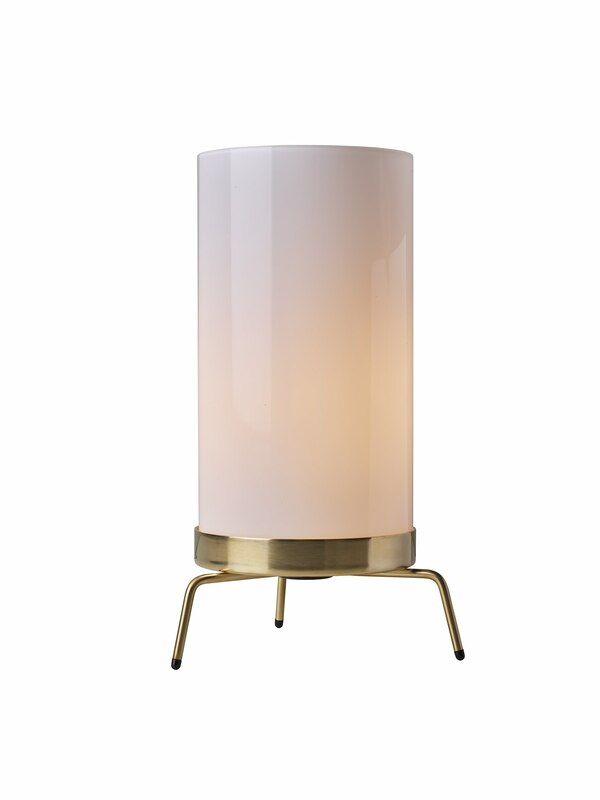 The Planner table lamps are visually striking thanks to their apparent simple lines. The minimalist design only further highlights the lamps’ elegance. The Planner lamps emit an effective and diffused light that comes from its hand-blown frosted glass shade. The cylindrical shade beautifully contrasts with the sleek three-legged base.